This review has been in sitting in my drafts section for the longest time. 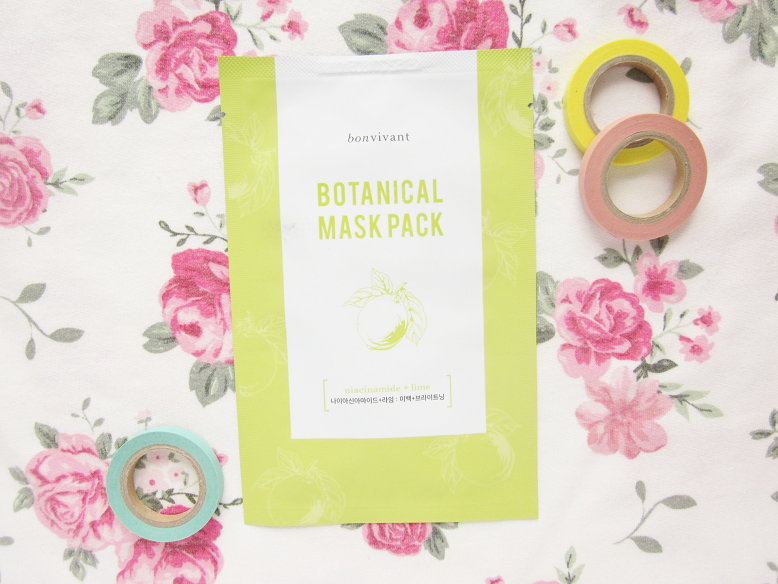 I planned on making a review on the Bonvivant Botanical Mask Packs since I received them in this Memebox haul. However I kept pushing back because honestly all the masks are all pretty similar. 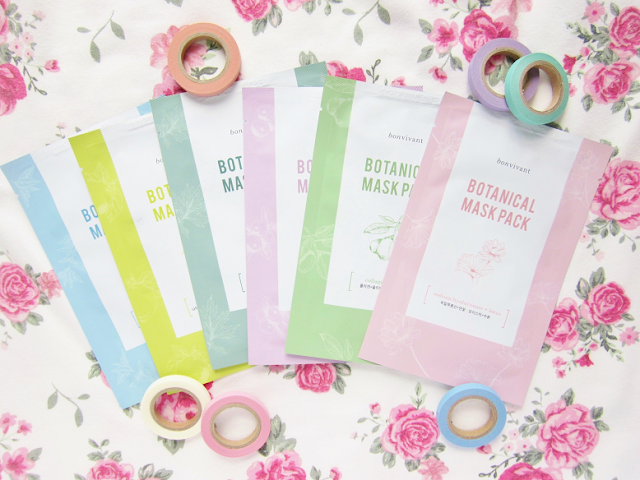 There are a few differences among the masks like the type of sheet mask, scent and results. But if you gave me a random mask to try out I probably wouldn't be able to tell it apart. The Bonvivant Botanical Masks are not the best masks I've tired nor the worst. But I would use them over and over again (and I have) if I didn't have any other sheet mask to use. 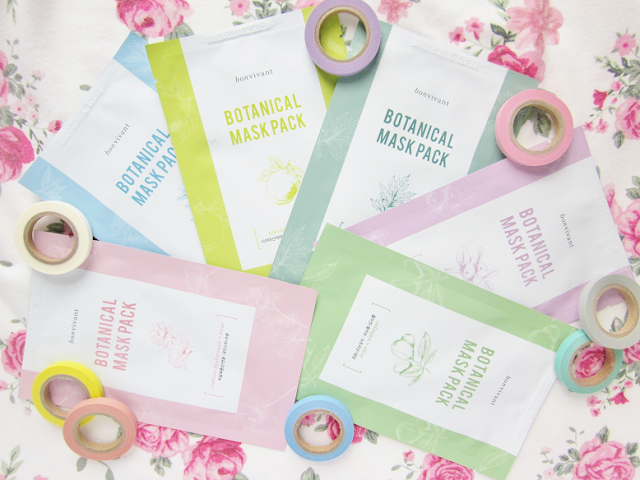 They are standard sheet masks. One thing I love about these masks is that you can day them in sets such as the 14 Day Kit or a 30 Day Kit. With that said I hope you appreciate this post. 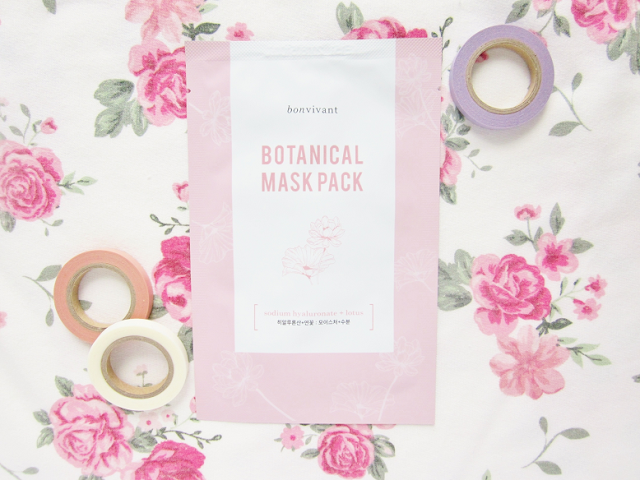 "The Sodium Hyaluronate + Lotus mask restores tired and dry skin. Lotus Extract moisturizes and protects skin from damaging environmental factors, while Sodium Hyaluronate delivers intense hydratation. The result is re-energized, healthy, and dewy skin. " The mask is clear (almost translucent). Faint floral scent. After 10-20 minutes my skin feels moisturized, hydrated, looks clear whitened and brightened. This was one of my favorite masks because it really whitening/brightened my skin afterwards. "The Collagen + Olive sheet mask restores dehydrated, tired, and aging skin. Olive Extract delivers Vitamin E deep into skin layers, preventing moisture loss, while Collagen strengthens and nourishes skin, boosting its elasticity and youthfulness." White sheet mask. Fresh floral scent (Kind of smells like roses). Moisturizing and nourishing. Mask didn't cover my nose properly (all of them masks didn't cover my nose area well). 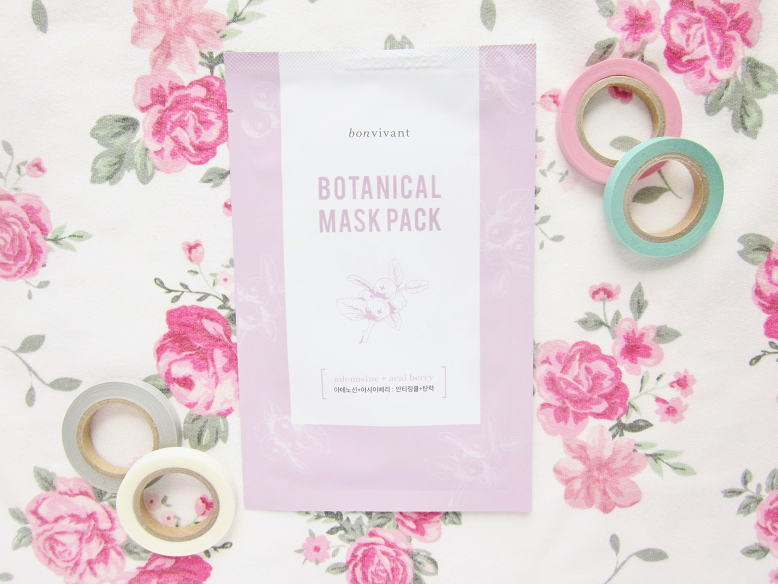 "The Chamomile + Tea Tree sheet mask cleans and tightens pores, thanks to Tea Tree Extract that minimizes the appearance of enlarged pores and AHA that exfoliates dead skin cells. Chamomile Extract also calms and soothes the skin, leaving it so fresh and so clean." The mask was semi-clear (not completely white but not clear either). Didn't cover my nose area well. The scent was flowery and woodsy. Like all of the other masks it was moisturizing and gave my face a healthy glow afterwards. 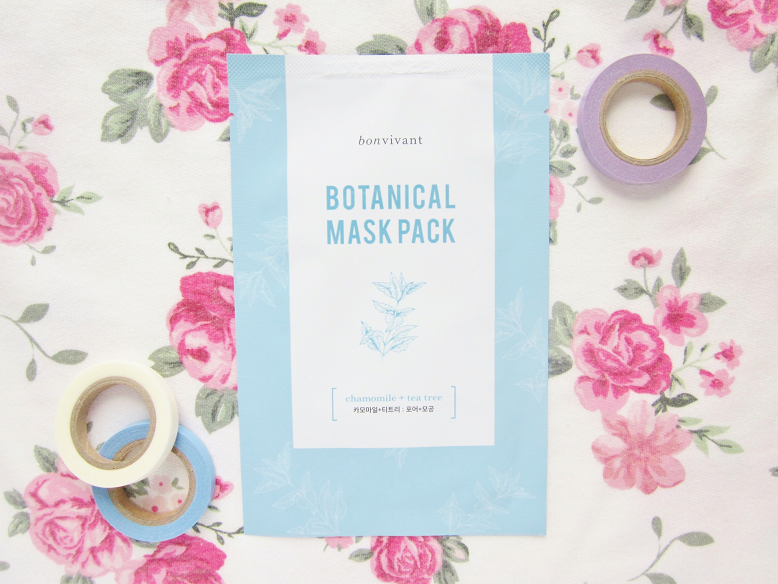 "The Adenosine + Acai sheet mask restores damaged, tired skin. Adenosine re-energizes, whilw Acai Extract delivers rich antioxidants to strengthen skin and protect it from toxins and environmental pollutants." White sheet mask. Floral scent. This was another favorite! I feel like this mask really brightened and whitened my skin. If you have a dull complexion I would recommend this mask. 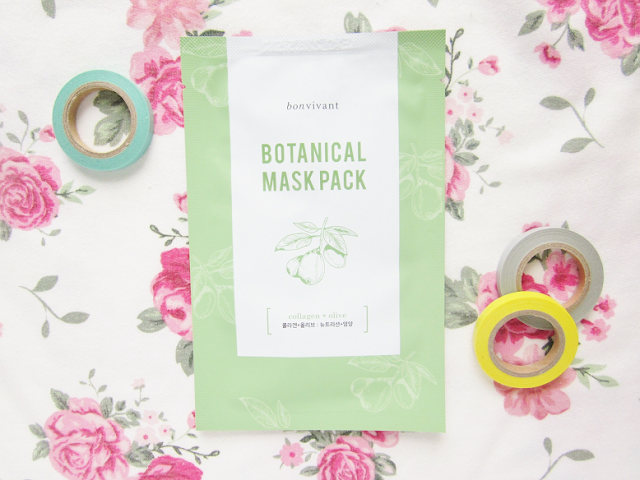 "The Madecassoside + Mugwort sheet mask restores stressed and sensitive skin. Mugwort tightens and relieves while Madecassoside Extract soothes and protects, leaving your skin more elastic, healthier and firmer." Semi-clear sheet mask. Floral scent. This was my least favorite mask. I didn't see much of a difference after using this mask. It moisturized my skin but that's about it. "The Niacinamide + Lime mask restores dull, problematic skin. Lime Extract revitalizes and purifies with its rich dose of Vitamin C, while Niacinamide brightens skin. 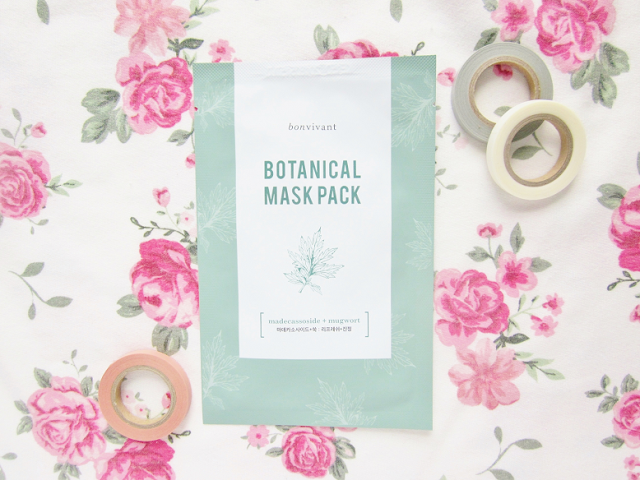 The results is re-energized skin and a radiant complexion"
Clear sheet mask. Floral scent. Softening, clearing and moisturizing. Have you tried any of the Bonvivant sheet masks before?